Perthro is the half-month stave through 28 January. Wunjo reversed is the intuitive stave, and Ansuz reversed indicates the Futhark’s message to us. Read right to left is Perthro, Wunjo reversed, then Ansuz reversed. Over the last couple of weeks Eihwaz has had intense influence over forcing us to move into uncharted territory. Emerging into Perthro, we realize the value of the self-work of the last few months, because only one thing is assured with Perthro. 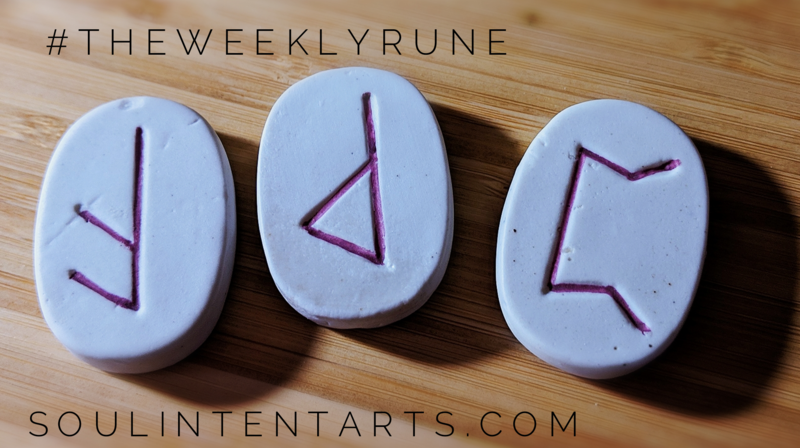 Perthro encapsulates the mystery of the runes, perhaps like no other. It represents chance, or our potential for something to happen. A lot of people refract Perthro to luck, which brings with it all kinds of modern associations that wouldn’t have been present in the ancient Norse cosmology. Rather, Perthro most likely would have been some facet of wyrd, wyrdweaving, which is a complex system or realizing where we can be effective in evoking change in our lives. Which is to say, we can’t change everything, as the modern take on LOA would have us believe. This rune of chance serves to remind us that it’s our job to educate ourselves on the variables of our lives, specifically those which we can change and those we cannot. That one component alone is more involved than a mere runecast can cover. For instance, we would examine what we’re good at, what we’re not, and adjust. We would examine what holds us back in life–traumas, socioeconomic factors, ethnicity, geographic location, access, education, relationships, teachability, and be honest about our ability to change those in such a way that we fulfill desired outcomes. With the personal factors managed, we would delve into the needs, deeds, and strengths of our Ancestors, and heal, release, bless, and honor everything that requires attention there, such that they walk with us, the wyrd and calling of our people is in tandem with our personal wyrd and calling, and we progress as a solid force paving the way for our descendants. What I’m saying is, this single rune can contain our entire life’s work, and “luck” doesn’t even come close to conveying that. Are we supposed to get all of that done in this half-month? No. Of course not. Yet we get this time once a year during which the elements lie in support of nothing but doing so. e if we’re on track, if the track is still accurate, and adjust support. That’s the homework for this week. The rune describing how we can best work with Perthro is Wunjo reversed, which indicates disappointment. It’s interesting that this rune pairs with Perthro, as it is also a big factor in wyrd. Upright Wunjo is the state of joy, the state of all cylinders hitting in such a way that we are deeply pleased with the outcome. We are in that place of all the things that comprise our wyrd, and whether it’s because we worked it consciously or some universal factor allowed the dominoes to fall beautifully in our favor–the result is pleasing. Reversed, it’s not so pleasing, though the nuance of that fact is that we blame ourselves for the poor outcome. We internalize a real or imagined flaw to our success, which we carry into our future efforts for success. Ansuz reversed speaks with the voice of the Futhark as a whole, and its guidance is to tell the truth. Be honest with self. Stay vigilant to the blindspots and manipulations we wage against ourselves, that would mislead our process. 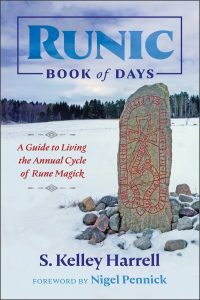 Anytime this rune comes up, something on the surface isn’t as it seems, and given the overall focus of Perthro, examine home. Examine self and anything else that might try to obscure truths of process, then weave.